I’ve been writing ‘properly’ for a few years. One of the best things about getting more experienced is the fact that writer’s block is definitely less of a problem for me now. Routine: By this I don’t mean time-tabling writing sessions or anything like that. Life is messy and hectic and (to begin with at least) you’ll probably see writing as more of a hobby. This often means it takes second fiddle to other priorities. However, there is an element of routine that you can develop for those times you do steal an hour or two for writing. 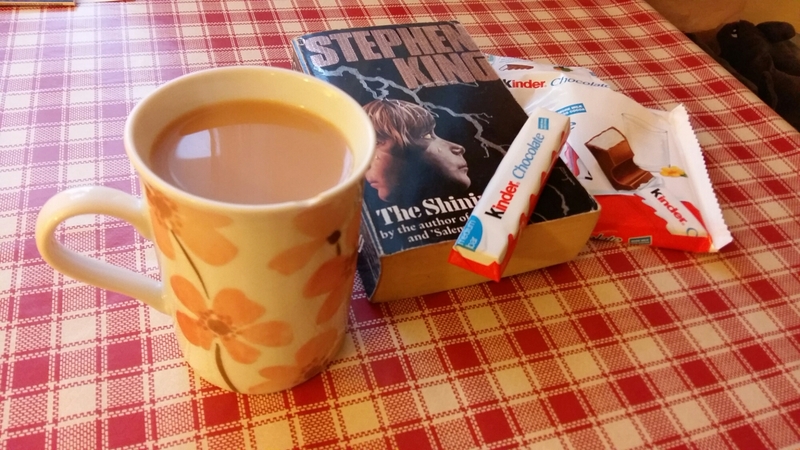 Here’s mine: cup of tea, bar of chocolate, playlist of music that matches tone of writing (e.g. I recently wrote a science fiction book for adults and listened exclusively to Sci-Fi soundtracks). The more I write with my tea, chocolate, music accompaniment, the more I associate my routine with writing. It’s now my go-to means of getting into writing mode. Simple rewards: This one could tie to your writing routine (e.g. like me, you could choose to only eat your favourite chocolate bar while you’re writing). However, your reward can be any small thing that means something to you. The important thing is that the reward becomes intricately associated with writing for you. It needs to be easily replicated, exclusive to those times you set aside for writing, and you need the will power to not partake at any other time. There’s also a chance it could fit in with the third tip. Read/watch something unfamiliar: If you always watch/read the same genre (and especially if that happens to be the same genre you write in) then it can be really refreshing to step away from that after a writing sessions (or during breaks). I’m a huge fantasy/sci-fi fan and these are my chosen genres to write in. However, I’ve experienced really satisfying changes to my writing through watching/reading horror, drama, thriller, comedy, and mystery. Playing around with different genres is a great way of keeping your writing fresh and interesting for you as a writer. If you’re bored with what you’re writing then your readers don’t stand a chance. That’s about it. I’m sure you’ll still have days where you ask the creative part of your brain for something golden and it just sits there handing you lumps of dirt. All the same, I get far less of those days now and these three things have definitely helped with that. I hope you found these tips useful. Let us know in the comments if you have some hints of your own for dealing with the dreaded block. This entry was posted in Inspiration, writing and tagged chocolate, ideas, stop writer's block, tea, writers block, writing on 11 March, 2017 by John the Toy Shop Guy. Not long ago I had a twitter conversation with ‘Amber Medley‘ (a fellow NaNoWriMo writer). The basic idea was how to move forward in writing (tackling the dreaded writer’s block). I suggested a technique I use where I take a character out of the book and look at what they do in different settings. Eventually the conversation moved on to how we draw believable characters, especially villains; viz. not writing a bad guy who just goes ‘Mwahahahah!’. The interesting point that came up was the fact that the more human your bad guy gets, the easier it is to like him/her and, as a writer, you typically don’t feel you should like your villain. I have a confession to make. Originally the primary villain of ‘Jack Reusen and the Fey Flame‘ (the ‘Wishmaster’) was going to be the overarching bad guy for the series. The ‘Wishmaster’ was to follow Jack throughout the book series, building in malice and in his capacity for harm in natural stages until Jack would have no choice but to face up to him in a huge final showdown. This sounds dangerously close to the story of another non-magical boy who discovers he can do magic and faces off against a deadly foe. You can imagine my relief then when, at some point in November 2014, I sat down with a cup of tea, started my writing for the night and, for the first time, was properly introduced to my ‘Wishmaster’. I had gotten him all wrong. He was still just as dangerous, still as malicious, and cruel, but then I started to realise what had brought him there; a need to share his gifts with others and his discomfort at finding that others actually got by fine without his gifts. He had grown resentful of these people’s lack of gratitude and I suddenly understood who he was and the story he needed to need to tell me. 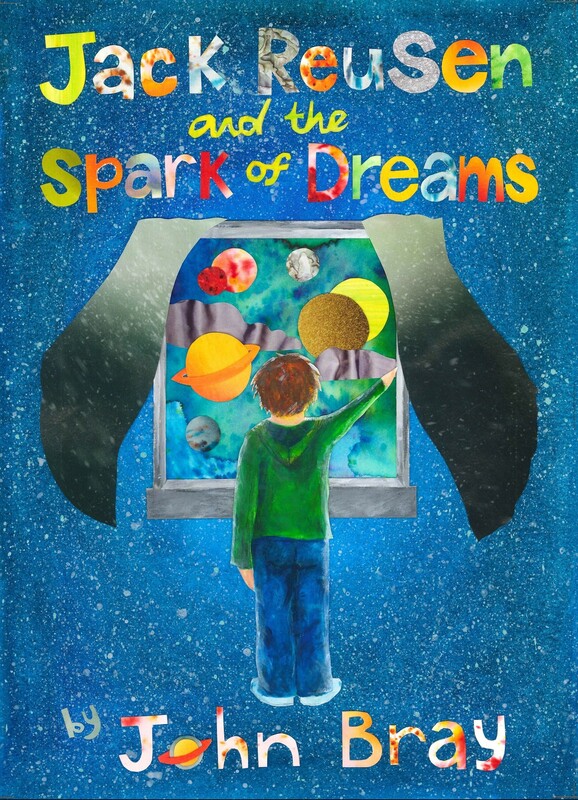 I still couldn’t let him take over my first book, and I still needed him to take a back seat for ‘Jack Reusen and the Spark of Dreams‘ but I made him bide his time. I knew his story now and I knew where he was going to have to go. He would remain a frightful memory for Jack and his friends for a while. After all, their story was just beginning. 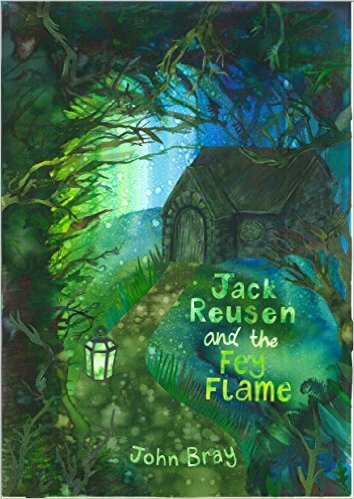 However, I was sure to set aside space in ‘Jack Reusen and the Children of Fate’ and, to an extent, in ‘Thea’s Quest’ (Book 4). 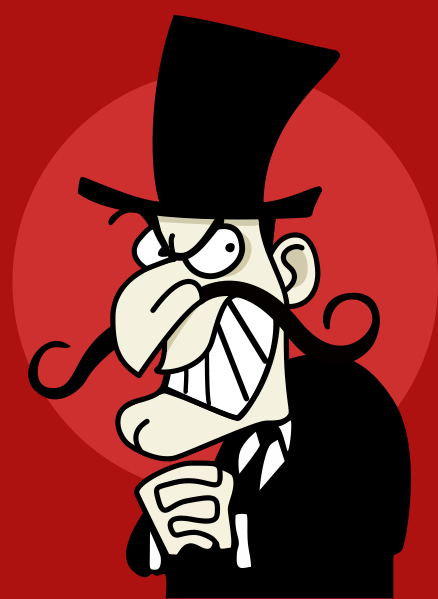 I grew to care for my villain and in doing so I grew to enjoy what I was writing a lot more. It gained more depth and I found it easier to connect with all of the characters (even bit players). During my twitter conversation the other day ‘Amber Medley‘ pointed out the fact that she was worried about growing to like her villain but if I hadn’t grown to like mine I don’t know if the books would have moved forward at the pace they did. Perhaps sometimes it pays to like the villain. This entry was posted in writing and tagged Children's fiction, childrens fantasy, fantasy, Fey Flame, independent author, Jack Reusen, jack reusen and the children of fate, jack reusen and the Fey Flame, jack reusen and the spark of dreams, john bray, liking your characters, nanowrimo, national novel writing month, scotland, scottish, scottish author, villains, writers block, writing on 28 July, 2016 by John the Toy Shop Guy. I got lost a week or so ago, it wasn’t writers block, I know what that feels like and this was very different. Exhausted, I had just reached the 30,000 word mark of ‘Jack Reusen and the Children of Fate’ and the end was in sight. I even wrote about how much I enjoy writing endings, I was psyched up and looking forward to writing, then one night whilst writing I was caught almost mid-sentence like a deer in the headlights. I could still write but it was like the part of my brain that kept a hold of my characters started to unravel, scenes were easy but I started to lose track of how characters would react. I wrote one particular scene that felt pretty good at the time but when I looked back on it I really wasn’t happy. Marathon runners encounter something called ‘the wall’ at the twenty mile mark; their body and their mind start battling for the last remaining dregs of energy and it becomes difficult for their mind to stay in control of their increasingly lethargic body. They start to make bad decisions, they find it hard to remember why they’re running in the first place, stripped bare of the mental support structures they’ve built up during training they are left to encounter the raw character of the person they are underneath. I don’t doubt for a second that what I went through was something like a writers version of ‘the wall’, my motivation and capacity to write was still there, I even had ideas for storylines but the tools of the trade, the things that help me tell a story, seemed dulled. I plodded on but couldn’t keep a grip on the road, I stumbled, tugging at plot lines from earlier in the book for support but still I fell. Unlike a marathon runner, I had time to let my mind recover. I had been on some hard-slog writing and paced myself very badly. I took some time to get my head back into magic and adventure, and enjoy a bit of family time. However, my word count is still short of my 50,000 word NaNoWriMo target, so work has started on a little (almost side-) project that I’ve been thinking about for a while. I won’t share too much at the moment (it a long way off being seen in print) but I can tell you that it’s a wee mini book that I’ll be releasing for Christmas. It’s a simple little story that I’ve been wanting to write up for a while. It was too big to turn into a short story on here but too short to make into a full Jack Reusen book. It has lots of snow and to be honest the cold weather over the past few days has been a blessing for me as it’s been easier to get into the mindset of warm drinks, cosy blankets, and powdery snow. This entry was posted in Book Progress, writing and tagged children's fantasy book, Children's fiction, fantasy, Fey, imagination, independent author, Jack Reusen, jack reusen and the children of fate, john bray, nanowrimo, scotland, scottish, scottish author, the wall, writers block, writing on 30 July, 2015 by John the Toy Shop Guy.